Welcome to the first in a new series of interviews with key players behind the scenes in Formula 1. In the this first Q&A, we speak to Federico Gonzalez, the CEO of CIE, the entertainment company that has brought the Mexican Grand Prix back to the F1 calendar this season. The event will take place on November 1 on the revised Hermanos Rodgriguez Circuit in Mexico City, at an altitude of 2,250m, by far the highest on the calendar. CIE has focussed its efforts on making the race a spectacle for fans, with a course that passes around and between packed grandstands. The fans seem to like what they see as the event sold out months ago and new stands have been added. Over 100,000 paying spectators will be there on raceday and Gonzalez said he could have sold 50,000 more, but wants to manage the first year carefully. So what is the secret behind their approach to promoting an F1 race in Mexico? Q: F1 and motorsport are all about passion, how have you combined that with serious business? FG: First of all it’s about the passion and having this great platform to promote the country and promote the city. This is a joint venture between the government and the private companies who support us and it is about showing the world and bringing international events, shows, and races to Mexico. But racing is one of our most important passions here at CIE, so yes it’s about passion. We are learning about all the processes to do the car races because we know we don’t have that knowledge at the moment, but we are working with a passion for giving the audience and motorsport enthusiasts a great opportunity to have a great time at the Grand Prix. Q: Other start-up races like India and Korea have not fared well in the long term but you have already sold a tremendous amount of tickets – are you confident that will continue? FG: We have to be very careful. We know that the enthusiasm that we have right now may not stand always or for future years. 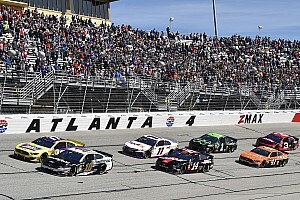 We know that we could have possibly sold 50,000 more tickets for this year, but we wanted to stop on the amount of tickets that we have already sold in order to protect the rest of the contract that we have and in order to protect the race for future years. We are not cautious about adding to the amount of tickets that we think we will sell, but not only for this year, but for coming years. 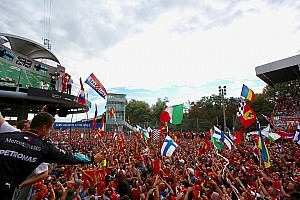 Q: What is the expected crowd for the Grand Prix? FG: Right now it is about 100,000 people on race day and we added more seats when we sold out. We went into this joint venture with Nussli, who supply temporary event structures and we had extra grandstands put in place so that the capacity is 100,000. But I think we will be fine with that capacity. Q: Where are people buying tickets coming from? Are there many Europeans buying tickets? FG: Right now we don’t have the precise number, but what I can tell you is that outside Mexico City, we are bringing people from the interior of the Republic of Mexico. We’re having people from outside Mexico City and people from other countries, I don’t have the number right now, but I presumably it will be between five or ten per cent from Mexico City, then 35-40 per cent outside Mexico City. Q: Singapore is a very successful business model where the government and an entrepreneur share the risk of holding the Grand Prix 60-40 per cent and share the rewards in a similar ratio – is it the same for you in Mexico? FG: In percentages, no. What we have right now is that between both of us we invested $360m. I would have to do the maths but we invested in the track and we made a whole investment where we promote and pay the expenses for the race. We are not sharing the risk. We [CIE] are taking the risk. Q:How do you feel about being paired with Austin in a back to back on the calendar? Is that good or bad for you? FG: That’s a good question because it is a challenge. I think at the very least the people that used to go to Austin from Mexico are going to compare that race to the experience that they get here in Mexico. They are going to make a decision if they are going there or staying here. I also believe that the people from the north of the country, north of Mexico City along the border with the USA, they will probably go there still. But we are putting together a great experience so I think we’re going to have happy customers and then in future years they will decide. Q: It has been suggested by the US GP promoter Bobby Epstein that people who are really into the sport from across the US, Canada and Mexico might do an Austin and Mexico double-header, take a week off and do both races, do you see any evidence of that? FG: Not right now. It’s too early for me to make a comment about that, but it does help in some ways with the expenses for the fans because it makes it better with the train of Austin, Mexico and then Brazil, but I don’t know. We have sold almost every ticket, but we still have tickets available, the extra tickets. Q: The link with Nigel Mansell is very exciting, making him an ambassador and naming a corner after him. He seems very pleased with it – was that a "no-brainer" decision for you? 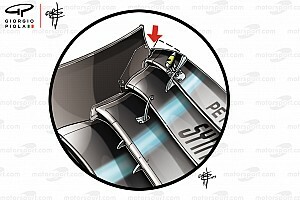 FG: Yes, it was always a "no-brainer" as he was very famous for doing that overtake at the Peraltada (corner). It was a very famous situation in Mexico and everyone remembers that so I think it’s going to be a great thing for the public, the spectators and the fans in general. It’s going to be great to see Nigel Mansell in here and it’s going to be great to see the historic F1. All the pieces that we are bringing together are starting to make sense within our strategy for the whole plan that we have for that weekend. Q: What is Emerson Fittipaldi going to do for you? FG: He was our first ambassador as he is very well known in Mexico and he is also a legend in all of Latin America and the world, so people are taking that as a great thing. We haven’t announced the third [ambassador] and I don’t know that I am allowed to announce that yet! But with Nigel and with Emerson, he is very nice and he’s been in Mexico and been very helpful. At the race he will go and do interviews, hang out on the track and go to meet-and-greet people in the suites and in the food courts where we will have stages. He will be hanging around all the experiences over the weekend. Q: The modified track twice passes through stadium sections, what will that experience be like for the fans and drivers? FG: It will be a baseball stadium and also a concert pavilion or arena. The track is going to go through the middle of those big grandstands – with 14,000 people in each one – so it will be around 30,000 people watching. 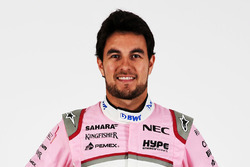 It will be like a rock concert, so Checo Perez will feel like a rockstar! Q: How important is it to have a Mexican driver on the F1 grid and possibly two if Esteban Gutierrez joins Haas in 2016? FG: I think it’s great. I’ve said it many times that this table stands on four legs: one is the Mexican federal government – which has helped us by putting in financial support – Mexico City, the promoter, and companies like America Movil, Telmex and Telcel who put the drivers into Formula 1 for many years – those are the four things that have made this Grand Prix happen in Mexico City. The sponsors of Checo and Esteban are very important. 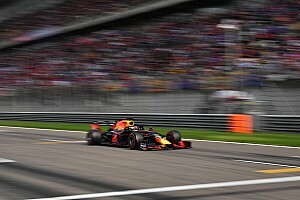 Q: FIA Race Director Charlie Whiting reckons it will be tight but that you will have the track ready in time for the Grand Prix in November – is that right? Federico Gonzalez: Yes, we are going to make it for sure. We are a little bit tight but last week the last half kilometre was begun so we will be fine. Q: Are you going to release a point-of-view video of a car going around the track so everyone can see it? FG: We’re going to do the social inauguration of the opening of the track 3 October and we’re going to release some information and some new photographs and videos so you can see the track then.